Hello, I’m Josh. I own a technology consulting business, organize a tech/business meetup, and am completing a degree in entrepreneurship at NAU in Prescott, Arizona. I have been teaching myself to code for the last few years with the power of google-fu. I am starting an organization that will provide technical training of different levels to members of my community. I am considering using the freeCodeCamp curriculum to help some of my students retrain so they can get better jobs. What better way to understand the curriculum than to go through it all myself? I’m not too far in but I’m enjoying it and have learned a few things along the way. Hello all! I’m Jeremy. I’m 38 and from North Carolina. I have a good career as an aircraft mechanic and zero experience coding or programming. I have been itching to do something new and decided to dive into this and see if i can take my love of all things tech and turn it into a new career. I just completed the first section(HTML and CSS) and so far i have to say i’m having a blast figuring things out! My name is Rulon. I’m learning to code (particularly website apps) so I can widen my professional skillset! Plus, I just like programming. I just graduated from my local land grant university, which is where most of my code instruction has taken place. Other than that, I’ve been coding my own Discord bot for my own nerdy, nerdy purposes. 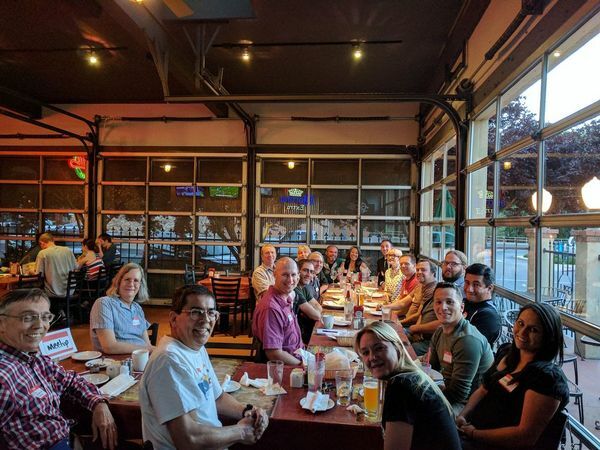 What tech/business meet-up do you organize? A business partner of mine is moving up to Prescott in the coming months. I’m Myles. I work for the Air Force. I am learning to code to transition from Military to Civilian life in the next couple years. Learning by trial and error. I am wanting to get better at front-end web development. If anyone needs help with SQL I can assist on more complex queries. If you and/or your business partner (or anybody else reading this) are free this Thursday evening please join us! Hi, my name is Nikola and I am 22 years old. I am from Bulgaria but now I am an Art and technology student in Holland. I’m Chad from Washington state. I am learning to code with the intention of making a career change. I have always enjoyed tinkering with electronics and computers and I hope to make money while doing it, some day! So far, I have taken a few Udemy courses, followed along with the Harvard CS50 course, worked my way through “Programming in C” by Stephen Kochan as a ‘foundational’ start and am now working my way through freeCodeCamp! My name is Matthew and I am currently a Cybersecurity Consultant with Microsoft. Before that I was in the Air Force as a Cyberspace Warfare Operations airman. I am learning to code because I want the ability to build tools and applications that can be used by anyone. I love the idea that if you can dream it, you can build it! So far, I’ve had a lousy on-off relationship with learning to code. I’ve used resources like Safari Books, Udacity, freeCodeCamp, meet ups, and various other channels to learn what I have so far. I think the thing I struggle with is staying persistent long enough to start making some good strides towards becoming proficient with coding. I know that if I were to just do an hour a day everyday I could make great progress but I get super side tracked and I have the tendency to squirrel myself away to something else. I’m really hoping that this time round will be different and I know that it will take a lot of work, but in the end it’s worth it. I would like to eventually become a developer for Microsoft (they have full stack dev’s). I look forward to giving this another round (this is my 3rd so far). What AFSC are you in? I got out in Sep 15’ as a 1B4. How long have you been in? I am a 18-year-old college bound guy who wants to have coding as an extra skillset. Also want to know coding to help land a potential job. Coding has been going well so far. I feel very accomplished after each task! Hello. My name is Hunter Turner and I am a High School student in Kansas. I am learning to code because my school doesn’t have any computer science courses available and computer science has always fascinated me. I would like to find out if I enjoy coding before I get to college so that I will be better able to pick a major of something that I enjoy. Hi! I am Ajay from India. I’ve been learning to code for various resources but I found free code camp to be the best one yet. Yo! My name is Raufun Nabi, and I am from Bangladesh. Could you be more specific and include a link to lesson 17 and what information is outdated? If what you’re saying is true and the curriculum is outdated, it can be fixed in a future update. Some of the jQuery events are no longer usable. Now I found out that some of the jQuery lessons are outdated. Can you list the events that are now unavailable?